Resolving complex cases with many moving parts and strong personalities involves much more than understanding the relevant law and providing effective advocacy in the courtroom. Getting the best and most efficient results for my clients also requires me to cut through the politics that can overcomplicate the situation, avoid unnecessary gamesmanship with opposing counsel and minimize the tension between the parties that led to a dispute in the first place. In short, I strive to put clients in the best position to achieve their desired results through effective advocacy and efficient resolution. Darin Brooks has built a commercial litigation and insurance coverage practice focused on flexibility and variety, allowing him to adapt to clients’ changing needs and solve a broad range of challenging problems across several industries, including insurance, energy, banking, healthcare, plus many more. He defends clients in complex litigation before state and federal courts, in arbitration and on appeal, with an emphasis on disputes involving insurance, energy, contracts, personal injury and maritime issues. 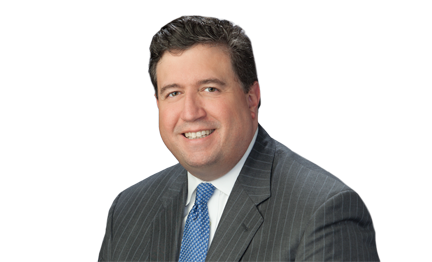 As Leader of the Insurance Practice Group, Darin focuses his insurance practice on advising clients on complex coverage issues, providing coverage opinions and resolving related disputes before courts and arbitration panels in Texas and throughout the country. He is also a valuable resource for colleagues and clients who need his unique insight when policy interpretation questions, scope of insurance needs and other insurance issues arise in various disputes and transactions. Darin has more than 20 years of experience guiding upstream, midstream and downstream energy businesses to favorable outcomes in all types of complex energy and commercial disputes. As national counsel for a Fortune 500 oil and gas company, Darin oversees a massive commercial recovery docket with cases from California to New Jersey and everywhere in between. He serves as lead counsel in many cases, and also quarterbacks the local teams charged with resolving disputes in faraway venues across the country. Along with two other partners, Darin manages a large commercial and tort defense docket for another Fortune 500 oil and gas company. Darin’s broad practice includes handling a number of different commercial disputes for a publicly-traded bank, credit unions and other financial institutions. He is highly active in the firm’s healthcare practice as well, resolving commercial disputes for healthcare providers and advising on the language used in many of their core agreements, particularly with regard to arbitration, insurance and indemnity provisions. Before starting his private practice, Darin worked as a briefing attorney for the Honorable Adele Hedges (Texas Court of Appeals – Fourteenth Judicial District) and as a judicial intern for Chief Justice Alice Oliver-Parrott (Texas Court of Appeals – First District). This unique experience gave Darin valuable insight into how complex cases are evaluated behind the scenes that continues to benefit his clients to this day. Represent a Top 100 Fortune 500 client in several major coverage disputes concerning the scope of an additional insured endorsement and related exclusions. Represent clients in first party disputes and advice concerning fidelity and employee crime losses. Regularly represent clients in coverage matters in areas including auto, commercial general liability, directors, officers, and company liability, errors and omissions, fidelity bonds, excess and umbrella. Regularly advise clients on scope of, and disputes regarding, indemnity, additional insured and other insurance-related contract provisions. Represented clients in several nursing home cases which involved complex coverage analysis. Represent two Top 100 Fortune 500 oil & gas companies as lead counsel in a national docket of commercial recovery cases involving branded marketing and reseller, farmouts, royalty, product and other oil & gas contracts. Represent two Top 100 Fortune 500 oil & gas companies in commercial and tort disputes, including over royalty interests, processing, transportation and lease agreements, farmout agreements, joint operating agreements, premises liability and other personal injury matters. Represent Top 100 Fortune 500 oil & gas company in enforcement disputes with landowners, including right of way, easement, roadway and other development agreements. Regularly represent international and publicly-traded oil & gas companies in maritime commercial disputes and offshore platform and rig incident. Developed a discovery program for, and represents, a major energy company in non-party discovery matters. Represented a major energy company in several pieces of litigation and arbitration matters re: an offshore commercial construction dispute over an FSO vessel. Represented an owner of a natural gas pipeline as part of an eight-lawyer team in a dispute with its former partner. Represent a publicly-traded bank related to indemnity obligations and related losses for inherited claims from acquired banks. Represent a publicly-traded bank related to wire fraud losses by bank customers. Represent a bank related to a dispute with a former employee over theft and other losses. Regularly represent a publicly-traded bank and other financial institutions in commercial disputes, including contract disagreements with clients and vendors, wire fraud losses and employee theft. Represent healthcare clients in various commercial disputes, including contract terminations and vendor disputes. Regularly represent a children’s hospital in matters involving contract review of indemnity, insurance and litigation-related provisions. Headed up a team for an international client that developed a data mapping, data collection and data retention plan, and oversaw harvesting and processing of documents for a U.S. litigation matter. Defended an Internet domain name broker in a case involving Lanham Act and related claims over the registration of a domain name. Defended a Fortune 500 company in a multiple fatality accident at a shipyard. Defended a Fortune 500 company in a products liability/personal injury case involving an accident at the Houston Ship Channel. Former little league baseball assistant coach, renowned scorekeeper, volunteer and occasional rowdy spectator for sons’ baseball teams.